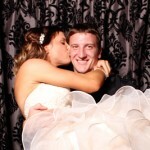 Since 2010, we have been proud to supply premium photobooth hire in Mackay and beyond. From the cane fields in The Pioneer Valley to the picturesque Northern Beaches and Hibiscus Coast, as the gateway to the Whitsundays, Mackay offers the perfect setting for a private romantic celebration, with enough city chic to compliment your formal or corporate event. Our stylish photo booths compliment any style and setting, whilst providing you and your guests with high quality images and hours of candid fun! Hi, we’re Tina, Juanita and Daryl from In The Booth Photobooth Hire Mackay. We’re best friends and locals from the Mackay area. We look forward to helping you celebrate your special occasion with a unique sense of fun! We all know what a hilarious experience a photo booth can be, so when the opportunity to provide this exceptional service in our area came up we jumped at it! In the Booth is Mackay’s original Photo Booth hire company, and since its launch in 2010 has had the pleasure of providing high quality Photobooth service for special events throughout Mackay and beyond. We have also experienced some of the most unique wedding venues north Queensland has to offer. When we’re not working the boothes, we love spending time with our families and friends. Relaxing and enjoying a laid-back lifestyle is something our diverse locale is renowned for. We love to travel and look forward to providing your next event with a beautiful, high-quality photo booth in the Mackay district and out to the coalfields. If you would like to find out how we can add a cherished experience to your special day, send us an enquiry today! "Thanks so much for your services for our wedding, everyone had such a great time in the booth! I would like to compliment Brianna our booth attendant, I was so impressed with her efforts, she was selecting our options in the booth for us and was pasting the pictures in the book and asking people if they wanted to write anything. I felt Brianna went above and beyond so please let her know what a great job she’s done; she was a lovely attendant. We cant wait to get the USB! Thanks again, we will have no trouble recommending In the Booth to everyone"
"Hi Guys, thank you for the beautiful package containing the photo files from our event. 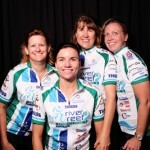 We are thrilled with the photos and they have been a BIG hit on Facebook! Thanks for helping to make our event the great day that it was." What is it you love about providing photo booth hire in Mackay? We are so blessed to not only have amazing weather in North East Queensland, but have a broad variety of venues and locations in the Mackay and surrounding area. We love that from one week to the next we could be watching the sun set out in a cane field or enjoying a gorgeous beachside affair; be nestled at a rustic country tea house or glamming it up at a venue in the Mackay City heart. Mackay’s Entertainment and Convention Centre (MECC) is host to many fantastic corporate events including the annual Mackay Festival of Arts, at which In The Booth Mackay have been proud sponsors of a variety of amazing events since 2010. Tell us about some uniquely Mackay touches you have seen at an event? We just never know what to expect and every event is so different. We love seeing all the unique and personal touches that brides incorporate throughout the day, with some of our favourites including a cement mixer and crab pot as wishing wells! What is the most common question you get asked about photo booth hire in Mackay? Are your photo booths portable and will it be able to get into/fit in at our venue? The answer is of course- Yes! Having operated in the Mackay for over 5 years, we have successfully had photo booths at all our local venues and work closely with venue coordinators to ensure that the location of the booth best promotes a safe and enjoyable night for your guests. And if you are out in a cane field or beachside location, all we need is a flat surface, covered area and power! Hire a Photo Booth of course! We are not only Mackay’s, but Australia's premier Photo Booth provider and pride ourselves on giving you with the best service and quality on the market. Also, work closely with your DJ to ensure they provide a variety of music that suits all the guests at your event. When in Mackay you must… ? Make sure you stay for a while! Take a splash at Bluewater Lagoon, enjoy a coffee at Bridges on the Bluewater Quay, stroll along the award winning Bluewater trail and explore the hub of the Mackay City Centre and Artspace. A great afternoon includes taking a drive out on the Breakwater followed by fish and chips at The Lighthouse or a short trip up to Eungella, with a stop on the way home at Pinnacle Pub for a pie and beer.